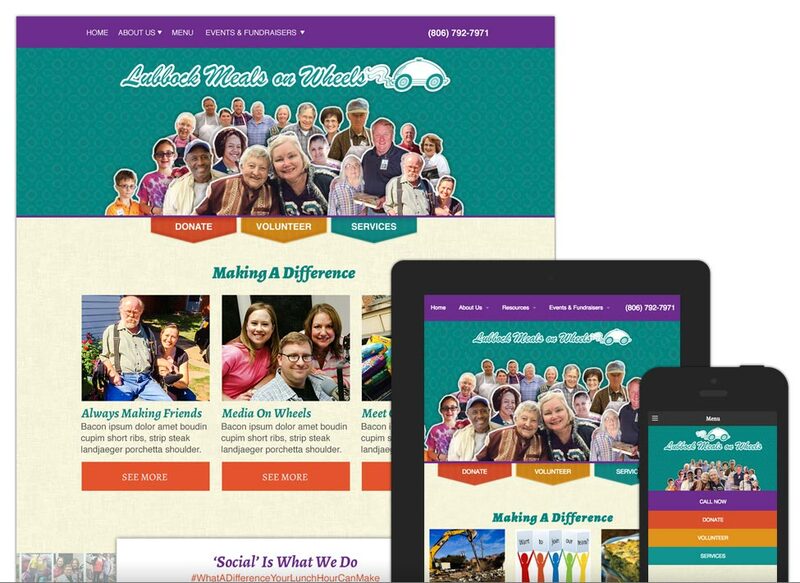 Community is the word that kept coming to mind when we designed the new website for Lubbock Meals on Wheels. We know the website needed to be friendly, both visually and functionally. Content is presented in an organized manner. Driven by volunteers and donations, Lubbock Meals on Wheels wanted a strong online tool where people could easily show their support. They are an active organization, so keeping content updated with fresh stories, events and news is important. Their website is built on a CMS (content management system) so they can make updates to content right at their office desks or on their iPads. 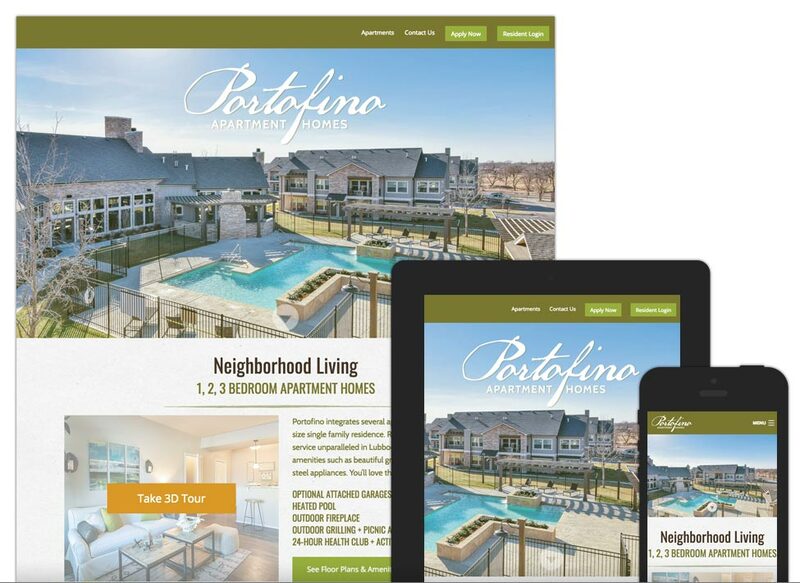 We set out to create a website that would not only attract potential apartment hunters, but also communicate the class and style associated with Portofino Apartment Homes. The website’s primary focus is to provide a mobile-friendly and informative experience for people looking for their new apartment. Secondly it functions as a community hub where residents hear about ways to connect with their neighbors. 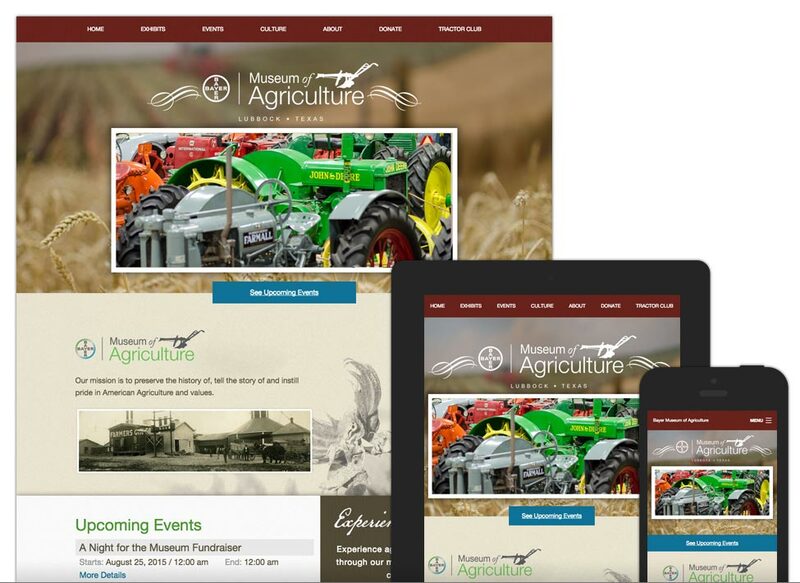 This website was built as a content management system (CMS) allowing museum staff to maintain and create fresh and interesting content. It is also mobile-friendly in order to increase the readability of the website on as many devices and computers as possible. The website also features dynamic elements such as donation forms, interactive maps and live event calendars.